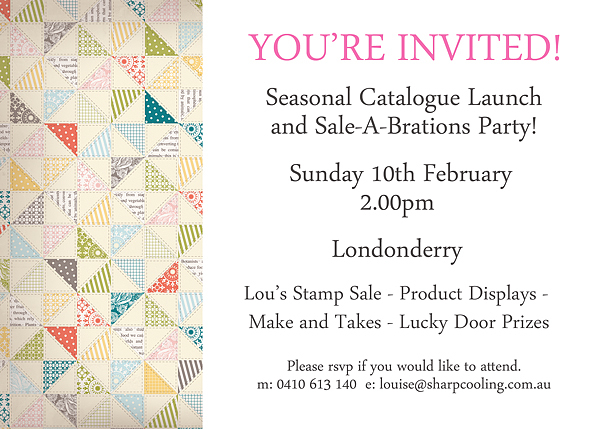 Louise Sharp: Seasonal Launch & Sale-a-Brations Party! Seasonal Launch & Sale-a-Brations Party! Please join me at my Seasonal Catalogue Launch and also see all the items from the Sale-a-Brations brochure. The fun will take place at my home - please contact me for the address.